This oil painting is a tribute to Georgia O'Keefe and Frank Stella. 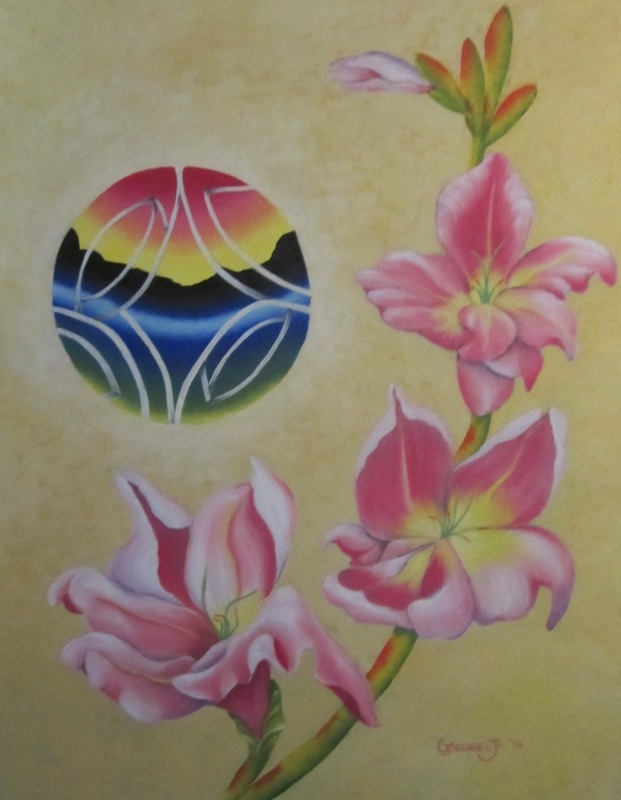 The gladiola stalk and the ball represent the land, water and sky. 6.5" x 5"9" x 7"11.5" x 9"14.25" x 11"16.75" x 13"21.25" x 16.5"